Our highly realistic radar simulation is now available in the App Store! Now you can take your radar with you on-the-go. It’s identical to the PC/Mac version, with only minor control interface changes, which make it easier to play without a mouse. This entry was posted in Uncategorized on November 17, 2012 by admin. Our Airport Madness series exists on the iOS App Store as Airport Madness Challenge, developed in cooperation with Fluik Entertainment. 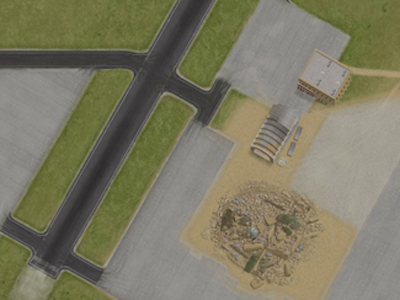 Airport Madness Challenge is very different from the PC/Mac version on our website. It redesigns the Airport Madness concept from scratch, to fit smaller touchscreen devices. However, we hope to port our other games over to iPad directly, in the same format as the PC/Mac versions you see on our website. A few months ago, we began this lengthy process. We hit one major roadblock that involved obtaining a special business number, in order to do business with Apple. We got through that, and eventually earned our Apple Developer status. 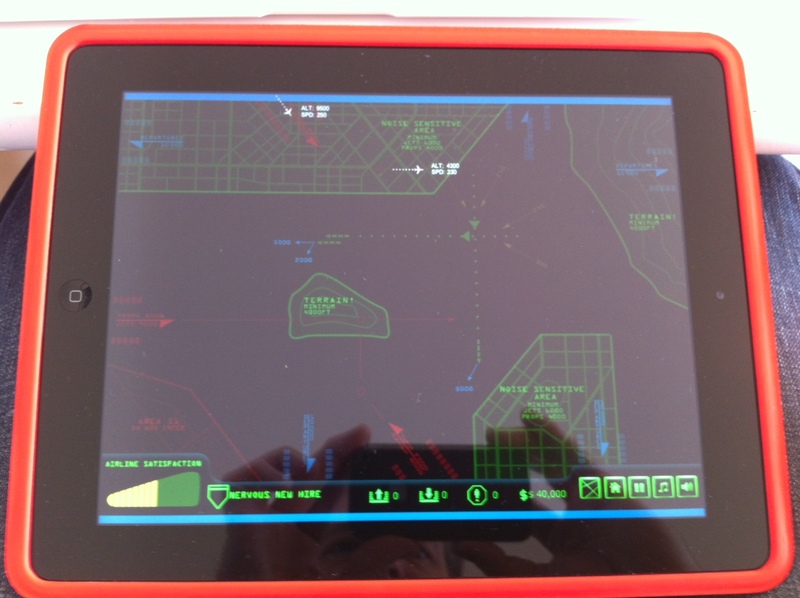 Last week, for the first time, we successfully played Radar Chaos on the iPad. 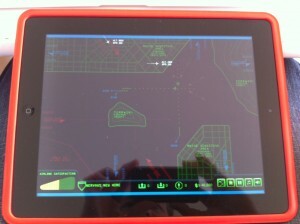 As cool as it was to see our PC game on the iPad, there were several features that needed improvement. 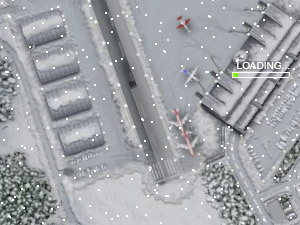 For example, in the PC version of Radar Chaos, closing an aircraft’s control panel is automated. As soon as you ‘mouse away’, the panel closes. But since iPad users don’t have a mouse (only fingers) this had to be fixed. We also took for granted the accuracy that a mouse offers, when clicking tiny buttons and dragging little arrows and other control items. We’ve tweaked Radar Chaos to function properly on the iPad, and the end result is a fun radar game that is fairly easy to play with just your fingers. 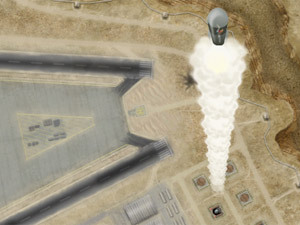 Radar Chaos was written in Actionscript 3.0 and built with Adobe Creative Suite software. Converting the game for iOS devices was easy – just select iOS as your platform. However, it gets complicated after that. Although our game code required absolutely no modifications, something called a development certificate and provisioning profile are required. Apple does a good job of providing the tools to obtain these, but the process requires some learning. For starters, you need a Mac to generate these two items. Technically, a PC is capable of the process, but it is terribly lengthy, and cumbersome. A PC cannot generate a development certificate or a provisioning profile, the same way that an octopus cannot ride a bike; it has enough arms to reach the pedals and handlebars but the result will rarely be a successful journey from A to B. Even with a Mac, you do need to know what you are doing. After successfully creating the app, there is a great deal of legal matter to get through, before you are allowed to actually sell your product in the App Store. Bank information and tax information are required. Numerous images and screenshots are needed. We finally ‘submitted’ our app this morning, and are queued for review by Apple. I wish it was just this simple. But Apple has a responsibility to keep their App Store clean of junk games. Games with bugs, suggestive content, and poor graphics would otherwise clutter the App Store, which isn’t fair to developers of quality games who deserve to be found by willing buyers. So more than likely, we are up for at least one or two ‘rejections’, before finally getting our game up. This is very common. Every game gets reviewed, and this usually takes about two weeks. So that’s where we are with iOS development. We have our fingers crossed. We are realistic that it might hit the store before Christmas. And if all goes well, expect to see more games such as Sky Madness in the App Store very soon! This entry was posted in iOS Development on November 11, 2012 by admin. Any time someone sets out to make a website, they envision that it will look like the best website ever created. 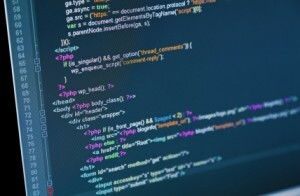 Some people define their website’s beauty by the artwork, some by how user-friendly it is, and others by how tidy the back-end code is written. A wise old man once told me (That’s a lie; it was actually a 20-year-old know-it-all programmer) the customer does not care what’s under the hood. Make the website pretty and functional. Nobody cares if it has 300 lines of unnecessary php script on the home page. This website began more than four years ago. The banner actually had hot air balloons all over it (anyone remember this?). This was before BFS had really ‘found itself’. 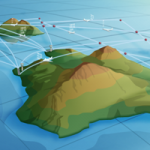 The home page featured our newest game, Air Traffic Controller, for $5.99. Since then, the site has grown considerably. It has grown to the stage of an awkward teenager, who is half-way through puberty, wondering if he will ever grow facial hair. Our website is like a house that keeps getting add-ons. Build a shed. Convert the garage. Expand the kitchen. Add a bedroom and a deck. Give it some new paint and put in hardwood throughout. Our website structure is still relatively tidy. Nav links are at the top left, and there are only six of them. You are never more than two clicks from any particular page, and the home page is always one click away. On the back-end, it’s a different story. The back-end is a mess. We are obviously too busy making games to give it the TLC it deserves. Last week I added a facebook “like” button to one of the pages, and was alarmed by all of the bloated html code I had to scroll through. There were code snippets from various web services, many that I don’t even use anymore. A Google Ad? I thought I’d gotten rid of those in 2010. And what the heck is Stat-Tracker? A web service that I must have used in 2008. Like I mentioned above, customers don’t really care about what’s under the hood. Does it work? Will it accept my money and give me Airport Madness 4? Good enough. The website works just fine. I’ve never had any complaints, aside from the occasional friendly email, to point out spelng erors or dead links. I still use PayPal exclusively for payments, because I think this makes the customer feel safe. There are cheaper services for sure, but PayPal brings the customer trust. Earlier this year we gave the website a new banner image, that will likely change from time-to-time. We also categorized our games into three categories: Airport Madness, Radar Chaos, and Other. I’m not sure for how long we can use “Other” as a title, as we plan to expand beyond Air Traffic Control games in the next year. We will likely be buying aviation games from other developers, and adding them to our site. These would exist in a sandbox of their own, separate from our stuff. We get a lot of requests for different styles of games, and feel this is one way of offering greater variety. We are pleased to announce that we are working on something very exciting, for release in the near future. I know, I know. 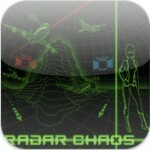 I have promised an update for Radar Chaos Hawaii Edition, some fixes for Airport Madness 4, and Radar Chaos for iPad. These will be done soon, but I cannot ignore the demand I get for more “Airport Madness”. 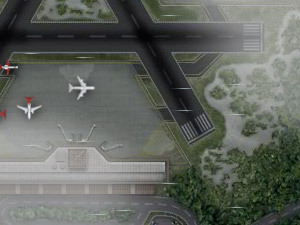 Airport Madness 5 will release in April of 2013. That’s a very realistic guess, based on all of my past release date failed promises. AM5’s theme goes back to the core of what made Airport Madness cool in the first place. It is inspired by Airport Madness 2, believe it or not. AM2 was fun because it was an airport that grew, level upon level. AM5 will not offer a 6-pack of fresh airports like it’s predecessor, but rather, an airport that grows up over time. We take you back to 1925 and put you into the control tower (Although radio-equipped towers did not start appearing in the United States until 1930, controlled fields began to appear in the United Kingdom as early as 1921. Take that, aviation history buffs :). 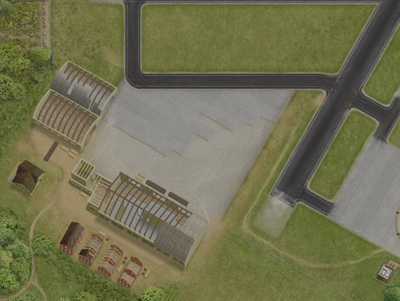 As the game progresses, you will witness the airport grow from just a tiny grass field in 1925, to a multi-runway wartime airfield in 1944, to a giant sprawling airport in 1975, with passenger jets and several terminal buildings. Witness Lindbergh, the breaking of the sound barrier, the first passenger jet, and the birth of the Boeing 737. Imagine what it might have been like to witness aviation in 1925. After WW1 there were many fighter pilots looking for something to do with their flying skills. Many of them created air shows where they would perform stunts, while others offered paid rides to the public (think “Great Waldo Pepper”). In 1925, flying mail services became very popular, and the world saw such aircraft as the Curtis Jenny, Ford Tri-motor, and Boeing Model 40. There was some passenger travel, although this did not truly begin developing until the late depression. In 1940 WW2 came along, giving aviation a giant boost. It wasn’t until after WW2 when the passenger travel boom truly began. This next version of Airport Madness will definitely have a story to it, supported by an explosion of beautiful artwork. The artwork is our top priority in the development of this game, as it is essentially a walk through time, and therefore demanding of “eye candy”. Plus, AM5 will be much more “game” than earlier versions in it’s structural design. 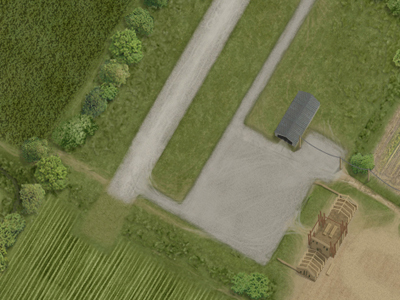 There will be nearly 100 levels, each with a duration of 3 to 15 minutes, depending on your ability. After a level is unlocked, it can be revisited at any time. We are working hard to bring you something new and exciting. We are holding back some key details at this time. The full extent of the game’s theme is still a secret, as is the product’s final name (It won’t be called “Airport Madness 5”). So, stay tuned! You will not want to miss this next version of Airport Madness. This entry was posted in Airport Madness 5 on November 3, 2012 by admin.